Exact Roofing is a new revolution in roofing quoting and estimating software. It takes the time and effort out of compiling roof cost estimates and quotes. Exact Roofing fully integrates all aspects of roof quoting, bill of materials and labor. 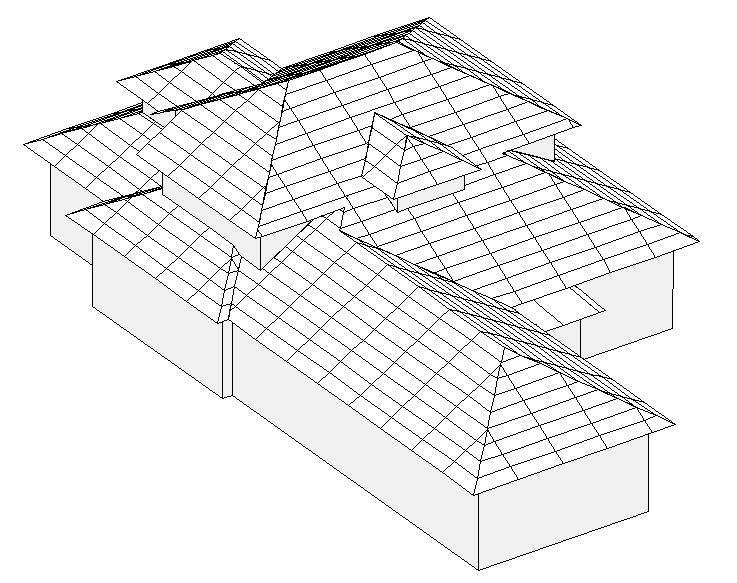 Exact Roofing estimates/quotes by the user drawing a model into the computer. The result is a faster more accurate quote. The output, along with a quotation, includes a dimensioned 2D drawing plus 3D drawing. This drawing adds to the professionalism of the quote as well as leaving no doubt in the customer's as to exactly what has been quoted. Customer feedback has shown the dimensioned 2D drawing attached to the quote eliminates over 90% of all disputes. Exact Roofing quotes Tiles, Pressed Metal Tiles, Metal Roofing, Standing Seam, Shingles, Torch On, and several other roof types. Exact Roofing also quotes wall siding, wall panels and bricks. The program supports both Metric and English Units and is sold on over 30 countries in 4 different languages. An optional module, the Visual Imager, can show a photo realistic view of the products quoted on the roof. The Visual Imager provides you with a valuable marketing tool, allowing you to show in separate pictures the complete range of products and/or colors on the customer's actual building.